The frame depth extension kits are used for creating space around the window to the inside of the room. They provide a possibility for fitting additional insulation around the window. They constitute a prefect solution for roof windows installed in the loft. The frame extension kit lengthens the frame by additional 6cm to the inside of the room. 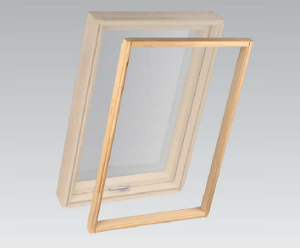 The frame extension kits are made of premium quality pine wood. The XGP kit comes in a natural colour. The XGW is coated with acrylic lacquer in white NCS S0502-Y (similar to RAL 9010). It is possible to mount XLW lining onto the extension. The XGK extension kit is made of PVC profiles in white (RAL 9010) and finds its application in aluminium-clad plastic roof windows. The extension kit consists of four elements, which are put together on installation. The kit is mounted onto frame by means of screws.